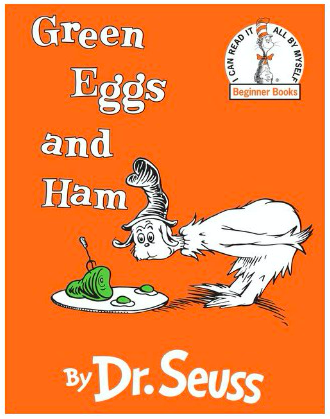 Many of you grew up reading Dr Seuss’s magical and rhyming children’s stories. And How the Grinch Stole Christmas (animated and/or the Jim Carrey version) is on many holiday movie viewing lists! 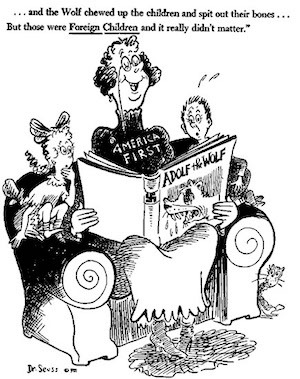 But did you know, especially during World War Two, Dr Seuss was an active political cartoonist? If you’re taking DP History, you may have even analysed one or more of his works! When the war began, he was too old to enlist. So, like many other men and women, he found another way to contribute to the war effort. Seuss created propaganda films and cartoons to bolster the American war sentiment. What’s interesting in 2017, is his anti-Fascist and ‘America First’ political cartoons are now more relevant than ever! Seriously, it’s eerie! Check out some of Dr Seuss’ political posters along the halls from the 2nd-7th floors this week. You can look at the symbolism he used and learn about the context of the content. Want to know more?? Join us in the Library Pit on Thursday at lunch (March 2nd is Dr Seuss’ birthday!!!) for a chat about all things Seuss-y AND birthday cake!!! Check out this site, which gives you the vast catalog of Seuss’ political work. Wow! Biographical info taken from the following sites: biography.com.